"MAISON MARTIN MARGIELA is one of the most important and influential fashion houses of the past three decades. I am so excited by this collaboration which will give fashion lovers around the world the chance to wear special pieces by MAISON MARTIN MARGIELA. 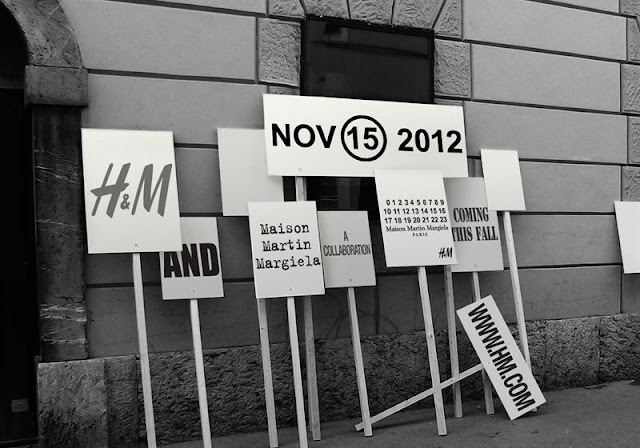 This collaboration will be a great and memorable fashion moment", says Margareta van den Bosch, creative advisor at H&M. November 15, 2012 is the date to look forward to. The collection will be available worldwide, and online. oh wow! i wish we ahd H&M in australia :( they ahve the best clothes!